I have always loved September in Utah – the leaves are changing to beautiful bright colors, on top of that we have the Greek Festival and the State Fair. 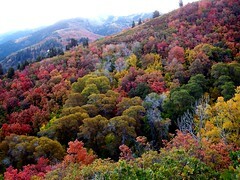 It is a beautiful time to visit Utah – cool crisp air, beautiful fall scenery, and old fashion festivals. Another very popular festival is the Greek Festival – it runs from September 9th – September 12th and is in close proximity to the State Fair, celebrating 35 yrs of great food and fun. If you plan on visiting Utah, for a great place to stay – visit us. We are close to the mountains where you can hike, bike, sightsee, and it is just a hop skip and a jump to get to the festivities down town.